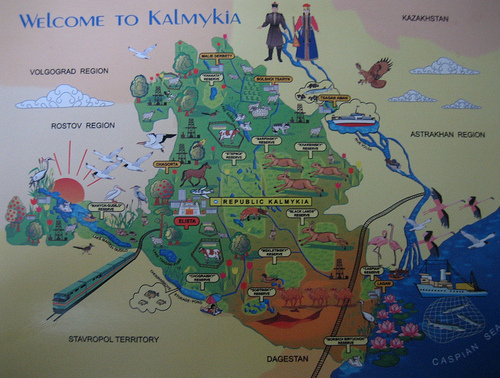 Kalmykia is the only indigenously Buddhist country in Europe, next to Caspian Sea. 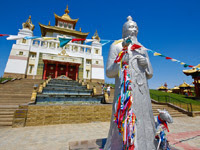 European Buddhist temple in the Republic of Kalmykia, Europe (kalmykia.eu). With the start of perestroika, which heralded the reforms that ended the Soviet Union, Buddhism's renaissance and growth throughout the country began in earnest. In 1988 and 1989, the first Buddhist communities were registered in Tuva, Kalmykia, and Leningrad. In 1991 for the first time, the 14th Dalai Lama openly visited Moscow and Buddhist regions of the country, giving a powerful impulse to the Buddhist renaissance. His earlier visits of 1979 and 1981 were not advertised by the press. Today more than 200 Buddhist communities are active in Russian territory. 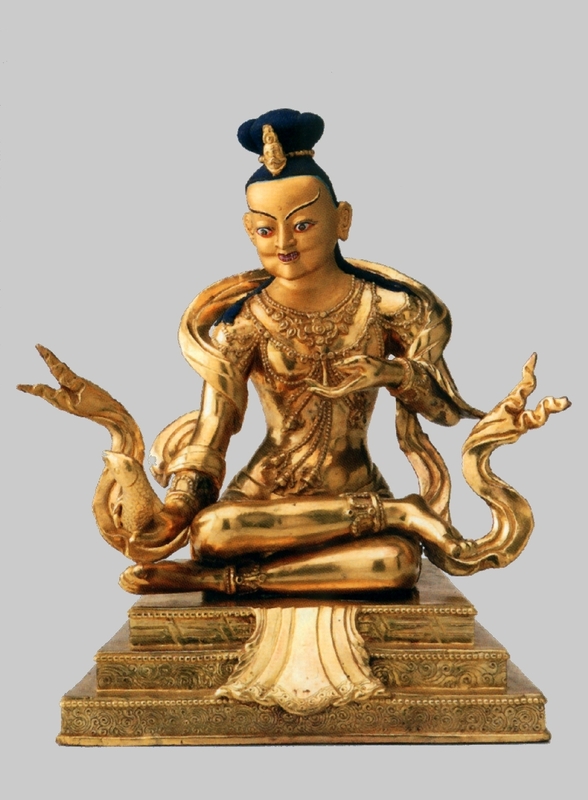 Besides the Tibetan Buddhism native to the Kalmyks, Buryats, and Tuvans, other branches of the Dharma are now flourishing as well: Theravada, Korean Seon, and the Japanese tradition of the Lotus Sutra. The Tibetan tradition [Vajrayana] itself is not limited, as it was in the pre-war period, to a monopoly of the Gelug school. 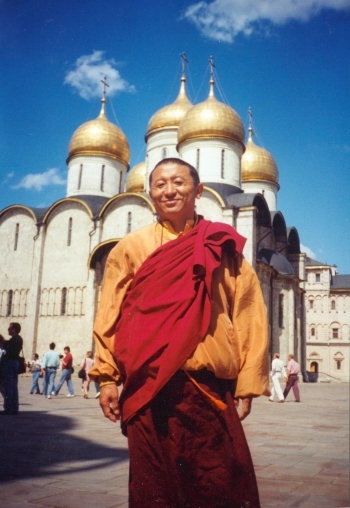 By the end of the twentieth century in Russia all of the other Tibetan schools had appeared: Nyingma, Kag'iu, Sakya, and Dzogchen as taught by Namkhai Norbu Rinpoche (born 1938), which unites Buddhist and Bon [pre-Buddhist Tibetan shamanism] versions of this doctrine. The majority of Buddhist communities are united by a centralized organization: the old TsDUB, which was renamed The Buddhist Traditional Sangha of Russia in 1996. Besides the Buryat communities, several organizations from the European part of the Russian Federation joined this organization. 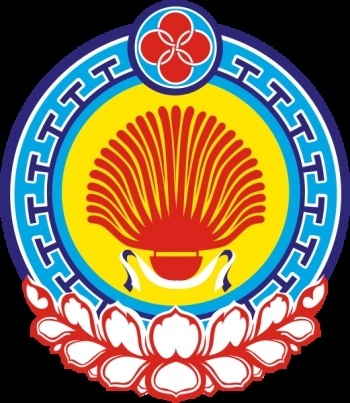 Since 1991 the Union of Buddhists of Kalmykia has been active there, led by Telo Rinpoche -- that is, a lama [reborn] from the great Indian yogi Tilopa (who is currently the only rinpoche native of the Russian Federation). In all three Buddhist republics the renaissance of Buddhism is seen as a sign of the strength of indigenous national non-Russiafied culture and accordingly is supported by the state. According to the 1997 Russian Federation law on religion, "On Freedom of Conscience and Religious Associations," Buddhism is counted as one of the four "traditional religions of the Russian Federation" other than Orthodox Christianity. (Judaism and Islam are the other two). 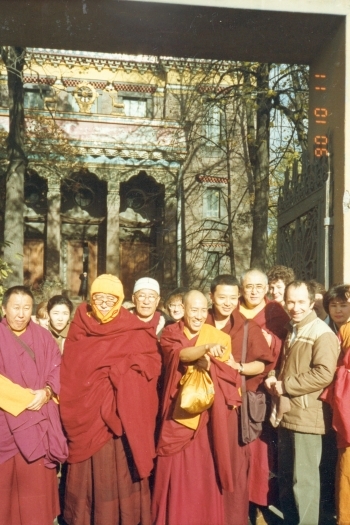 Mir Kag'iu (now Buddhism.ru), and others. By 2003 approximately 50 Buddhist Internet sites were functioning; nowadays, there are many more. 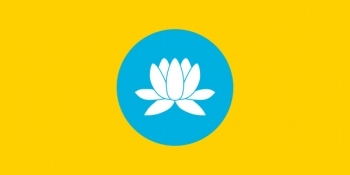 The lotus flag of Kalmykia, the only indigenously Buddhist country in Europe. 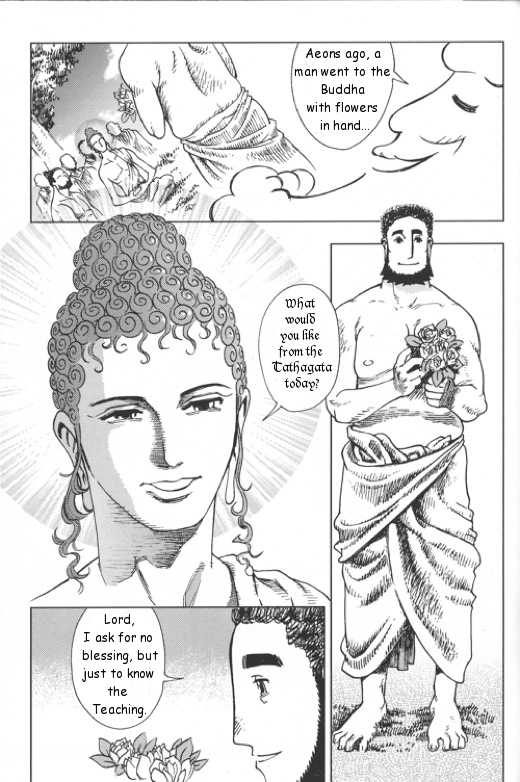 The problem of Buddhist education, however, has yet to be resolved. Although in Buryatia and Kalmykia institutions of higher Buddhist education have been established, they do not have enough financial resources or teaching staff. Resurrection of the standard twenty-year course of studies of Tibetan Buddhist education remains far in the future, and the country still suffers a severe lack of educated Buddhist clergy. The situation will not change until the Kalmyk, Buryat, and Tuvan youths who have traveled to India to study in Tibetan monasteries return. (As a result of the Chinese takeover of Tibet in 1959, there was a mass exodus of Buddhist monks, and many of them established new monasteries in India). In the meantime, in all the traditional Buddhist regions, and also in Moscow and Petersburg, the Dharma is taught primarily by Tibetan monks, some of whom live in Russia on a permanent basis, while others come especially for the purpose of preaching and conferring empowerments. The poignant story of Russia’s Buddhist nomad traditions, its spiritual republics, is ongoing. It is a living tale that is far from extinguished. Despite the imperialism of the Russian Empire and cultural persecution by the [former] Soviet Union, Russia’s Buddhist communities have endured and kept their unique place within its borders. This can be seen most obviously in the Republic of Kalmykia, which has been registered as an autonomous republic within the USSR and its successor, the Russian Federation, since 1958. 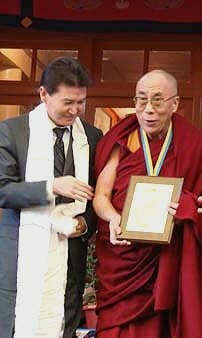 The editorial staff would like to thank Dr. Terentyev for his contribution and hope that this series can help to further awareness of Russia’s unique Buddhist inheritance.